THE MAYBELLINE STORY : Maybelline's Black Sheep - Preston Williams. Maybelline's Black Sheep - Preston Williams. 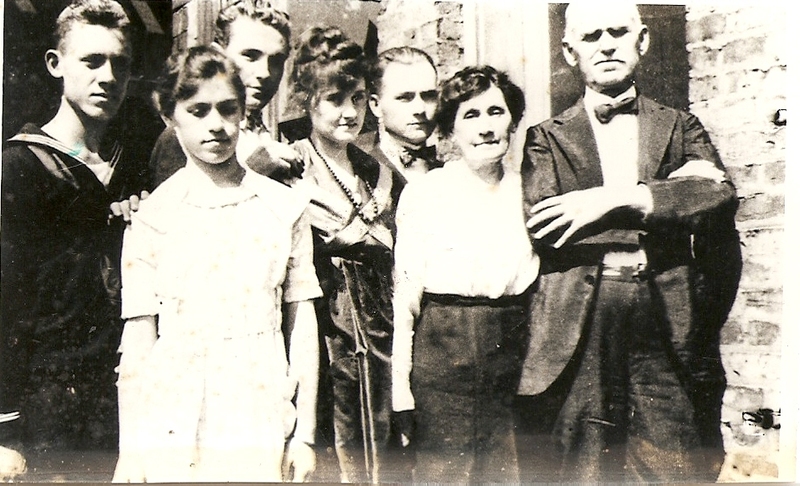 Preston, Eva, Tom Lyle, Mabel, Noel, Susan and Sheriff T.J., 1916. ﻿ Tom Lyle's brother Preston has no interest in being part of the Maybelline company. Preston in front with Ches Haines, 1922. Why was that? After all he had every opportunity to become part of the executive team for the Maybelline Company. Oh, if only Preston had shown a little passion or devotion for the family business! 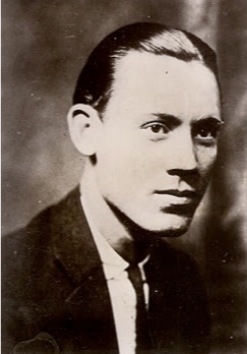 You'll have to read The Maybelline Story for the full scoop about my grandfather Preston but for now here are a few clues into his early years and why he did it HIS WAY. As a child Preston envisioned himself heading out West searching for high adventure and had no desire to work the family farm in Kentucky. He was forever attracting trouble, though preferred periods of isolation where he might master his thoughts while fishing, hunting rabbits in the woods or just reading about cowboys while perched on a tree limb next to the barn. Needless to say he was all boy and detested any restraints put on his free spirit. However, his refusal to submit to his father T.J. brought sure and swift consequences. As Sheriff, TJ was likely to lock boys who got “too big for their britches” in a jail cell for an overnight stay. Breakfast the next morning was served only after repentance had been made. But no matter what the punishment, Preston proved a hard nut to crack, and his willful behavior often drove T. J. into a rage. My grandfather ran off and joined the navy at 17 during the Great War, World War 1, only to return a broken man with PTSD, Post Traumatic Stress Disorder. Read more about Preston's wild adventures that left a wake of destruction in my family for generations to come, in The Maybelline Story and the Spirited Family Dynasty Behind It. Preston Williams, 23 in 1922.